Round Lake Alcohol & Drug (once known as the Interior Native Alcohol Abuse Society) began with the dream of Okanagan Nation member, Tinker Watt, from Omak Washington. Tinker Watt shared his actual dream with the original founders of the society, the late Emery Louis, JD Billy, and Buzz Morissette. These visionaries passionately believed that in order to be well, First Nations people needed to embrace their own culture and practice its traditions. 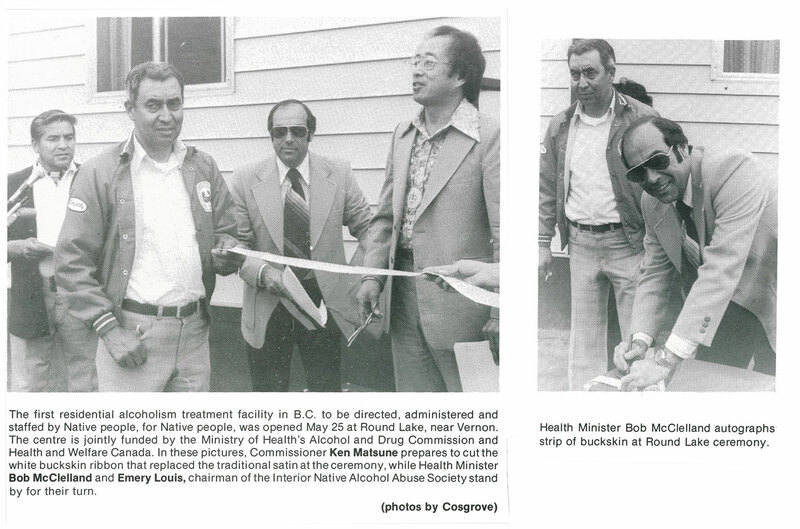 In 1976 a group of four First Nations People from the Okanagan-Secwepemc communities came together to discuss the problem of alcoholism amongst our people. It was felt that the single biggest problem was the lack of an alcohol and drug treatment centre in the British Columbia Central Interior. At this first meeting it was decided to enlist the support of as many First Nations people as possible from the Interior. In 1977, with only bologna sandwiches to sustain them and enough money for gas, the founders drove to Ottawa to persuade the Federal Government to fund a First Nations Treatment Centre that practices culturally specific treatment to heal and treat addictions in our people. The next meeting was held in Merritt and was attended by 31 people. At this meeting, the Interior Native Alcohol Abuse Society was formed and supported by all 41 Bands from the five tribal areas. In 1978, a proposal for funding was submitted to and accepted by both the Provincial and Federal Governments. Costs were shared by both Governments, and the program presently received operations funding from the Province of B.C. – Ministry of Health, Alcohol and Drug Programs, and from the Federal Government – NNADAP. 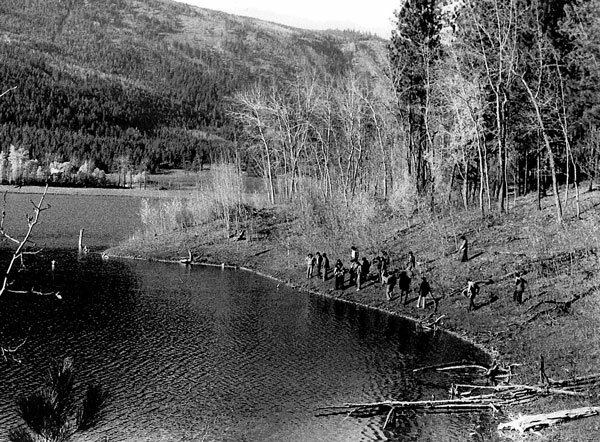 Acting upon a suggestion from Emery Louis, the sacred land at Round Lake was finally chosen as the best possible site for the Centre. The Centre was originally comprised of three wood frame cabins, three double wide trailer units and one pump house. Round Lake was officially opened on May 25, 1979 and received its first 12 clients on June 11, 1979. In the fall of 1980 preliminary plans for a permanent facility were begun. In May of 1984, the present facility was officially opened, which had capacity for 36-40 people. In 2015, the Board of Directors approved a proposal to add a new program to the treatment centre. Construction of the Painted Turtle Lodge was completed in January of 2017 and opened on March 1, 2017. The 10-bed post-recovery treatment centre will provide resident focused care in a communal home environment while supporting residents to strengthen their recovery based life. On the shores of Round Lake in the beautiful Okanagan Valley.